Hey everyone! 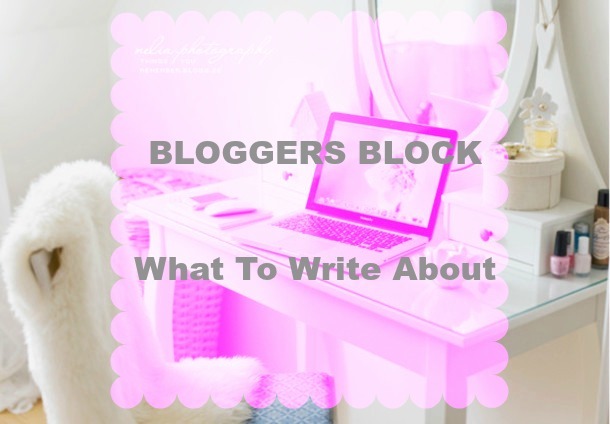 Following on from my post from my My Top Tips For Starting A Blog post I thought that I would do another post on what to write when bloggers block strikes. I have been reading a lot of posts lately and actually been collecting ideas and writing them in a little notebook so that I can share them all with you. These are my top 10 ideas of what you can maybe write about when bloggers blog strikes. Hope it helps! I love these posts purely because I am a very nosey person I love to know what people get up to in their daily lives. No two instagram diaries are ever the same so you get to know how different people live their lives and it can be extremely interesting. I am going to be doing a few instagram diaries on my blog, especially next year whilst I am working in Turkey. I just think it's important to add a bit of lifestyle to a blog no matter what your theme is to show people that you are actually a human and not just a robot behind the blog. I absolutely love tags. 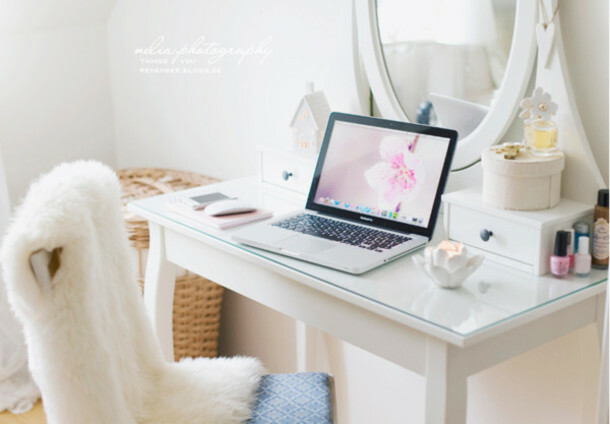 There are so many floating around in the blogosphere and if you don't like the look of any of the ones on blogger you can just head on over to youtube and find some inspiration from there. A lot of youtubers who do tags place what to do and any questions in their description section so you can just copy and paste that into your blog and make it your own. A few examples are The TMI Tag, What's In My Bag/Make Up Bag Tag, Get To Know Me Tag etc. I popular one at the moment is The Christmas Tag which I did a few days ago on my blog! They are so quick and easy and again let people know about you. Now we all have lists of things we want especially if like me you don't really earn enough to really treat yourself every now and then so why not create a post and share it with everyone else who may be in the same boat as you? These are definitely some of my favourite posts to reaad. 2014 was the year of amazing music! Why not make a playlist to show all your favourite songs from this year? Or for any year for that matter! Music is amazing and for me is definitely one of the most important things in my life so why not make a playlist introducing new songs to different people. Maybe a playlist of songs nobody has really heard of before that you like? In 2015 this is an area of the blogging world that I am hoping to explore more but I think these posts are great and don't require a great thought process either. If you are going out or are out just get a friend to take a photo of what you are wearing and share it with everyone else perhaps posting links and sites to wear your bought each item for! Perfect posts for people who want to discover new items of clothing or a new hairstyle to try or nail polish maybe. These have been my go to posts for a long time now when I have bloggers blog. I think it's a great way to share your favourite blogs, instagram and even pinterest accounts with your readers so that they are able to come across new things. It is also showing appreciation for these people and what they do especially bloggers who really do put a lot of hard work in making sure that their blog is the best they can be. I love these posts so much. If you have been loving a certain thing such as food, film, album, or even beauty product then why not do a review of it and tell people why you love it? It could be great exposure and get more people buying and loving that same thing you've been loving as well. Now this is actually the name of a tag created by the lovely Kayleigh from CoutureGirl (fab blog by the way), however you don't have to do it as tag. Maybe just right the reasons why you love blogging so much with a few tips for potential new bloggers or something. Just something from the heart that will explain to people why you love doing what you do. Some of my favourite posts to read again. If you have had a spending binge why not put together all the products and photograph them for a post? Show people the products you bought, where from and even why you decided to purchase them? This time of year especially these posts are perfect! It's quick and easy to write. There's nothing I like more than coming across a post full of old photos from when that blogger was younger. If you read Zoella's blog then you might remember her posting photos of her younger self and her brother Joe when she was younger and the photos were so beautiful and it's so interesting reading into people's pasts and finding out a bit more about them, what they looked like and how much they have changed. This is definitely a post I have coming up on my blog quite soon and I can't wait to browse photo albums and have a good cringe at my little 4 year old self. So there we have it. 10 ideas that I think are perfect to turn too when you have a case of Bloggers Block! I know I've suffered with it a few times throughout this blogmas! I still can't believe I've posted 18 days without fail! I'm quite impressed with myself! If non of these posts help then I'll add another sneaky idea here which is just by doing a general chat. If you have stopped blogging for a while maybe just do an updates post telling your readers why you've been away and you hope to be back soon or of a topic of your choice, maybe something you feel strongly about. Therefore you're still updating your blog without forcing it! This post was definitely longer than I intended it to be so I will end it here by saying that I am sorry this post is a bit late today. I've had such a stressful day with sorting things out at home and then working and I am just so tired. But I really do hope that you have enjoyed this post! What do you do when you have a case of Bloggers or Writers block?